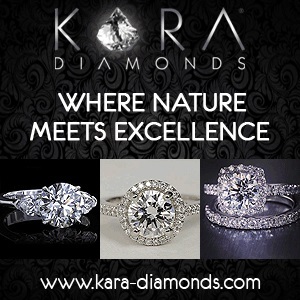 Information on Diamond Jewelry & More! This is a square or slightly-rectangular cut with rounded corners and brilliant style facets that resemble a pillow shape, hence it’s name…. 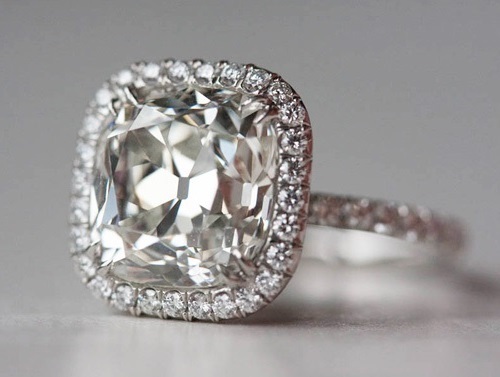 Cushion Cut. 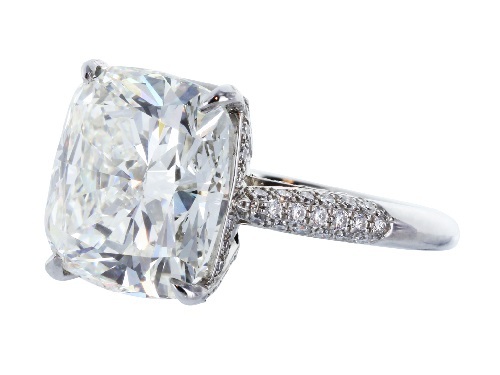 A Cushion Cut diamond is cut and polished to modern proportions. And if it is done right, it will result in a very bright, lively diamond. Interestingly, the “cushion” diamond outline (shape) is based on a very common shape that was cut for many years… an Old Mine Cut. Old Mine Cut diamonds are no longer polished in the modern market because they are not very optically efficient in comparison to today’s modern brilliant cut diamonds. 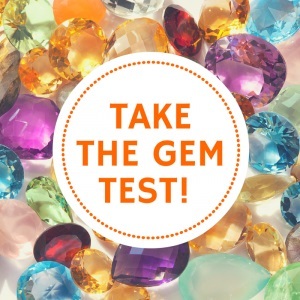 In fact, the majority of the old miner cut diamonds you see in stores are actually antiques or heirlooms that had been passed down over the centuries. The cushion cut diamonds has a very classic look to its outline and stands out from the crowd in the range of diamond shapes. 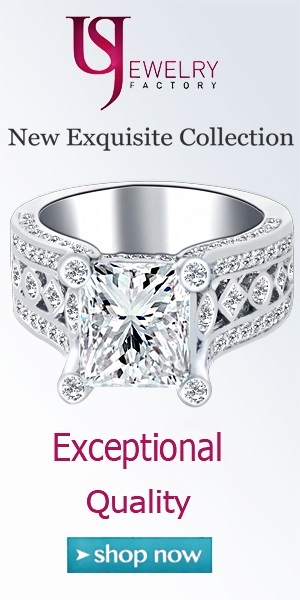 They are a great alternative to the sharp, angular shapes of the princess cut diamond and the Asscher cut diamond. In a survey that we conducted recently on consumers between the age of 40-50 years old, many respondents found that they prefer the cushion cut diamonds because of its versatile square and rectangular shape that gives its appearance a much softer look! Cushion cut diamonds can come in various shapes… from square- 1.00-1.05 to 1, to very rectangular- 1.30-1.40 to 1. There is not a “standardized” length to width ratio for and what you like actually boils down to be personal preference. 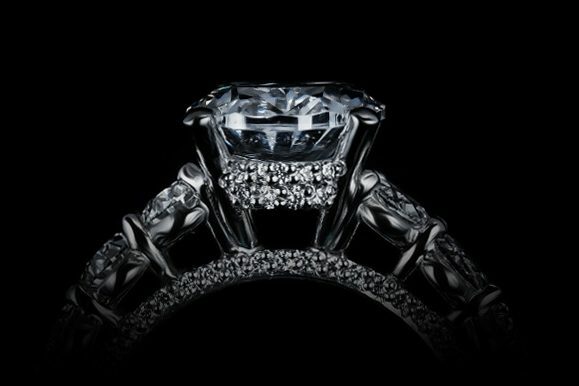 Sometimes, when a cushion cut diamond is set in a mounting (a ring, a pendant, etc. ), the setting can make a slightly rectangular Cushion Cut diamond appear more “squarish” or even more “rectangularish” based on its design. If you are looking for a one of a kind look, a rectangular cushion cut diamond can be set “East to West” (perpendicular to your finger) and will give very interesting and stunning results. Do note that if you insist that a cushion cut be 100% square (a length to width ratio of 1.00 to 1) or extremely rectangular (a length to width ratio of 1.40 to 1) this will make your diamond search a bit more difficult because of limited availability. I have seen some customers pass on some beautiful cushion cut diamonds because the length to width wasn’t exactly what they wanted and it’s really a shame. Feel free to leave a comment or send me an email if you have questions. Copyright © 2019 IM Jason Diamond. All Rights Reserved. The Arcade Basic Theme by bavotasan.com.